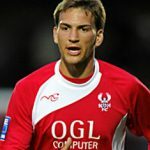 Over the years the friends of the Harriers Online website have been both pleased and honoured to have sponsored a variety of players. This is done via the forum before the season starts and on average around twenty fans chip in to pay for the sponsorship. With a sponsors deal costing up to £300 it’s a great way of keeping the cost down and letting more people join in by doing it as a group. 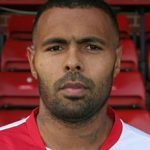 We first began sponsoring a player back in 2007 when we chose Matthew Barnes-Homer and we sponsored Matt for three seasons up until he left us to join Luton Town. When Mark Albrighton joined us the following season we began to sponsor him. Our longest ever sponsorship was for MBH and our shortest was for Marc Goodfellow who only lasted for two months with us. Below is the full list of players that we have been proud to sponsor and if you would like to join with sponsoring a player one day then just look out on the forum when the time comes.